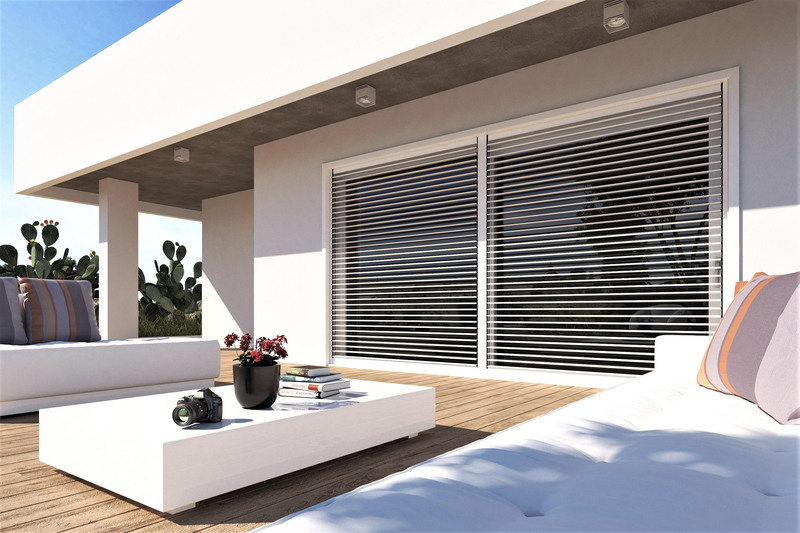 Alika is an aluminum shutter with adjustable slats, able to slide inside the standard guides and to wrap completely inside the box. In the closing position, Alika allows the orientation of the slats in order to gradually modulate the passage of light and air into the rooms. Its functioning is fluid and silent. With Alika you can always live your space with maximum comfort, without sacrificing privacy. The use of Alika is simple and affordable for everyone, it can be operated with the common electric motors on the market through the push-buttons on the wall or through the relative remote controls. Alika can be integrated into home automation systems, contributes to energy savings and passive home security.